What Is Competitor Analysis in SEO? Competitor analysis has the most prominence in the field of Digital Marketing. Everyone wants to stay on top of SERP rankings. Sometimes you may notice that your most performing keywords suddenly out-ranked and replaced by another website. In this advanced SEO competitor analysis guide, we are going to discuss how to perform competitor analysis? Tools, techniques and checklist of major elements that will help you to find strengths and weaknesses of both your website and your competitor’s site. Securing a top place in Google search results is never be so easy task in this competitive era. SEO competitor analysis is the only key to overcome your competitors and achieve success in the SEO game. Before 2016, achieving top rankings in Google search results can be possible with some basic on-page SEO tricks and black-hat SEO practices, but now with emerging huge online marketing competition, it becomes a more tough task. #1 What Is SEO Competitor Analysis? SEO competition analysis is nothing than researching and spying on our online competitors and hack their SEO strategies and tactics to improve your SERP rankings. The best thing is, when you determined to do SEO competitive analysis, your competitors are always open. Literally, their every move, every action they take to improve their website rankings and drive traffic to the website are there out for the world to see. This is the major advantage for every webmaster. #2 Why Is It Important To Know Your Competitors? Many businesses, startups, brands and bloggers invest thousands of dollars in their SEO campaigns — but a right competitive analysis can make a huge difference in your SEO strategy and tactics, this you can find what exactly works and save both the money and time with doing unnecessary things. Using competitor analysis tools, you can spy on your competitor’s websites and figure out the strengths and weaknesses and research competitor keywords so you can create a better strategy to ditch your online SEO competitors. Also, read our latest article on major SEO challenges you need to get ready to face in 2018 and latest SEO trends that will govern the future of SEO and digital marketing industry, with more insightful information. #3 How to Find Your SEO Competitors? Here is the SEO competitive analysis guide to finding your online competitors to stay top of SERP rankings. What is the purpose of your website and think of keywords? Look at other websites in your niche, find keywords of their landing/most important pages. Run their URLs in SEMRush or SpyFu to find their top keywords. Google your top/most important 10 keywords and make a list of top 10 search results for each keyword. If a site showed up for almost every keyword in your list, it’s a pretty good indicator that they are top in your industry. 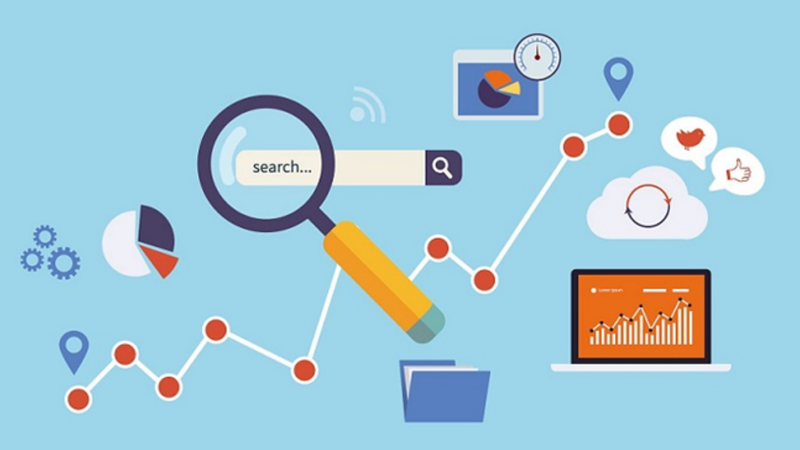 If the sites showed up for 2 or more keywords, consider them as your competitors. This might be old forgotten search operator but it still works better similarly as SimilarWeb. But the results will come straight from Google so the data will be that what Google feels most related to your site. SimilarWeb is a great free tool for competitive analysis. You can run your website URL to find similar websites/competitor sites. The great thing about these tools is that you can enter your competitor’s website to find out more related sites. The free version of the tool will get only 10 results. #4 How to Perform SEO Competitor Analysis? A simple step-by-step guide to do/perform advanced competitive analysis for businesses, brands, startups, webmasters and bloggers. Best competitive analysis tools to spy on your competitors and analyze their SEO strategies. Identify your competitors SEO strategies and tactics. 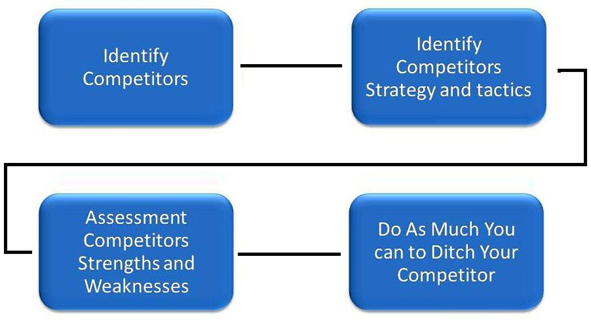 Assessment of competitors’ strengths and weaknesses. Do as much you can to ditch/out-rank your competitors. Content means not just that amount textual content on your competitor’s web pages and blog posts, but the content is everything that makes up the competitors website. All the text, Images, videos, and documents such as pdf’s etc., look at their sites that point of view to see what makes up their content structure. Also, Perform keyword competitor analysis to find out for the keywords that their content is ranked in SERP’s. Analyze keyword competition and choose the best relevant keyword for your content. 2. Research Their Link Profile: Find Where and How They Are Getting Backlinks? As we all know backlinks are the key factor in rankings. So, it is very important to Digg into your competitors backlink profile, analyses how many backlinks they have and from where and how they are getting backlinks? To research their link profile use tools like Open Site Explorer, Ahrefs, Majestic and if you are looking for a free tool, try Backlink Watch (with Limited data and sponsored ads). Digging through your competitor’s backlink profile is a long and boring process, but it is the most important task in SEO and the potential way to build powerful backlinks, also you can learn a lot about your industry along the way. Participate in online niche forums. Find the guest posting opportunities on other related (high DA) websites/blogs. Find online influencers, bloggers and affiliate marketer to work with. Always keep in mind that you don’t want to get links from each and every site that your competitors have linked. Review their domain authority and quality before you get a backlink. Otherwise, you might end up with a Google penalty. 4. Analyze Your Competitor’s Website to See How Well It Is Optimized. Note: If you are using CMS like WordPress you need to use a well-optimized theme and good hosting service (We recommend Virtual Private Servers) for best performance, you can check here for best themes for WordPress. There are many online SEO tools are available in the market to perform competitor analysis, choose the right one for your need. Google made available some free competitor website analysis tools to Check mobile friendliness, Structured Data, Page loading speed, and Backlinks. Note: All tools always not so precise so it is advised to use multiple tools for better results. Such as SpyFu, SEM Rush, Alexa Monitor Traffic, Ahref and MOZ SEO tools are my favourite. 5. Look into Their Social Media Profiles and Networks. Social media profiles can reveal some important aspects that you may not find in the website navigation structure. It reveals how they are communicating with their audience, what promotions they are offering and what certain landing pages they are using to attract their audience. 6. Analyzing Competitor’s Web Archives. Last but not least, the Internet archives or Wayback Machine will capture all websites in particular moments in time. These archives can reveal such as “when your competitor’s website first visible online”, “what updates they’ve gone through” and “how often they are updating”. If you do not want your online competitors to spy on your website through Wayback machine, then insert this tiny code in your “robots.txt” file. I'm a Professional blogger, internet marketer, WordPress developer and SEO expert.